At the bus stop and with nothing to do? 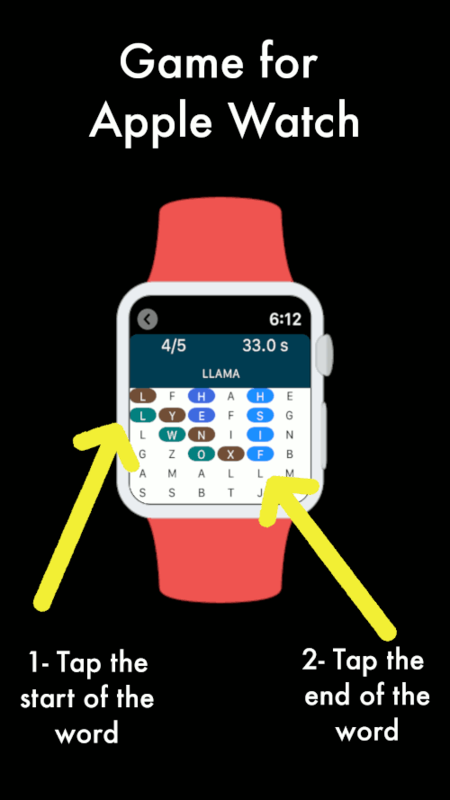 Take the opportunity to play with your Apple Watch or your Watch with Wear OS looking for words in this word search. Waiting for your friends who are late? Play a word search game without the need to take out your phone, you can access it directly from the watch! The game for Apple Watch or your Watch with Wear OS is simpler due to its reduced size (5x5 & 6x6 board). However, you can find the categories: "Animals", "Food", "Music", "Plants", "Motor", "Technology", "Colors", "Football", "Objects" and "Names". The words, according to the level, can appear horizontally, vertically, diagonally and in reverse order. At the difficult level, don't appear the help to find the word. Also, different words can use the same letter. 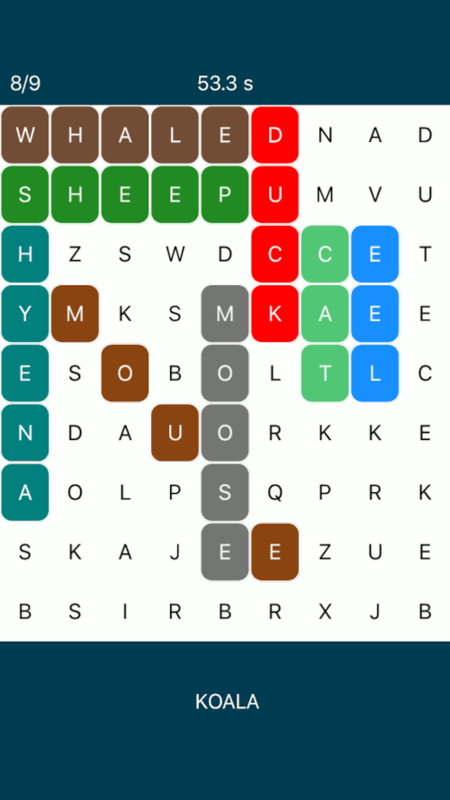 As it is a game designed for watch, only words of 5 or less letters will be used. Keep this in mind for the hard level. The words are available in English and Spanish! Fast and easy. You wear it in your wrist!